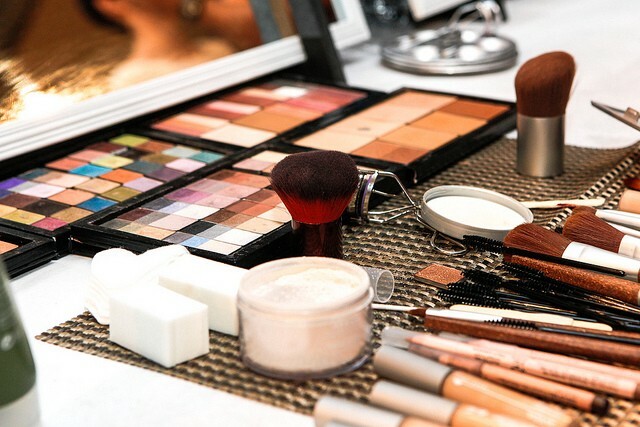 How safe are your cosmetics and skin care products? When you think of a healthy lifestyle, you probably think only about food and exercise. But what about skin care? Did you know that your skin is the largest organ in your body? It absorbs healthy nutrients and valuable moisture from skin care products, but it also absorbs any harmful ingredients in those products at the same time. So what you put on your body is just as important as what you put in your body. Formaldehyde. Yep. The same smelly stuff that preserved the frog you dissected in high school is in “nearly 1 in 5 cosmetic products.” Formaldehyde causes skin irritation or allergic reactions and is a known carcinogen. But, again, your ingredient list will not say formaldehyde. Instead, avoid quaternium-15, DMDM hydantoin, imidazolidinyl urea, diazolidinyl urea, sodium hydroxymethylglycinate, and 2-bromo-2-nitropropane-1,3 diol (Bronopol). SLES and SLS. This ingredient is in most any skin care, cosmetic, or other personal use product. Both SLES and SLS cause skin irritation, and SLES has the added disadvantage of releasing a carcinogen in its production. Avoid sodium laureth sulfate or sodium lauryl sulfate. Be informed. Did you know the skin care industry is probably one of the most unregulated industries in the country? In fact, the Food and Drug Administration (FDA) “does not have the legal authority to approve cosmetic products and ingredients (other than color additives) before they go on the market.” Additionally, FDA states it does not “have a list of tests required for any particular cosmetic product or ingredient.” Know that only you can keep your skin care regimen safe for you…and your skin. Finally, don’t forget this is a process that takes time, but is totally worth it. The end result is not just a beautiful complexion, but a healthy beautiful complexion.